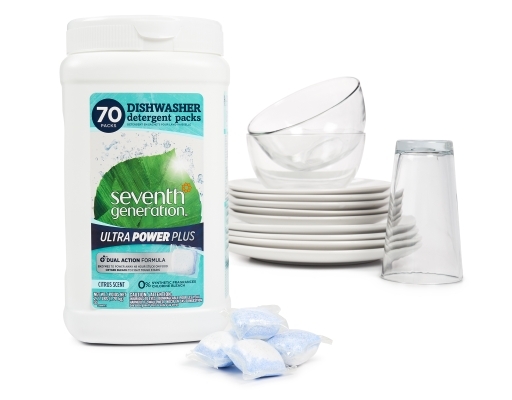 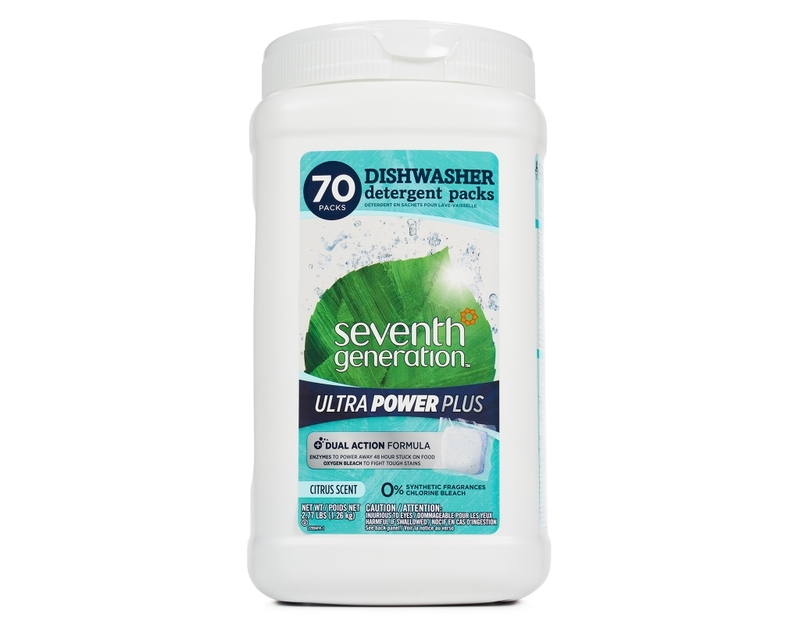 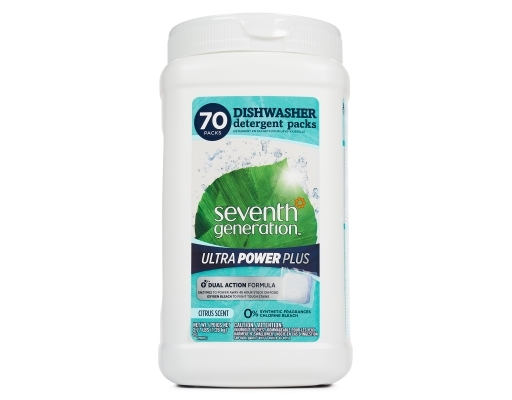 Ultra Power Plus Dishwasher Detergent Packs give you the ultimate amount of grease-fighting power for a total clean. 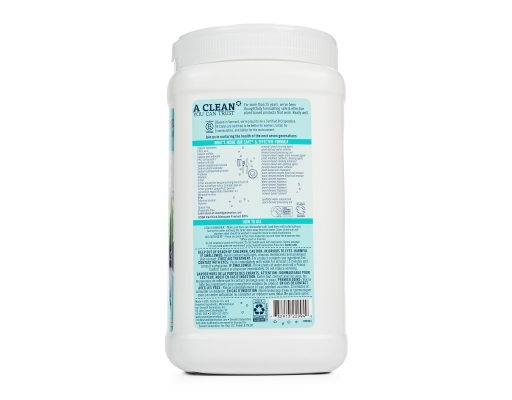 The dual-action formula contains enzymes to power away 48-hour stuck-on food, and oxygen bleach to fight tough stains. 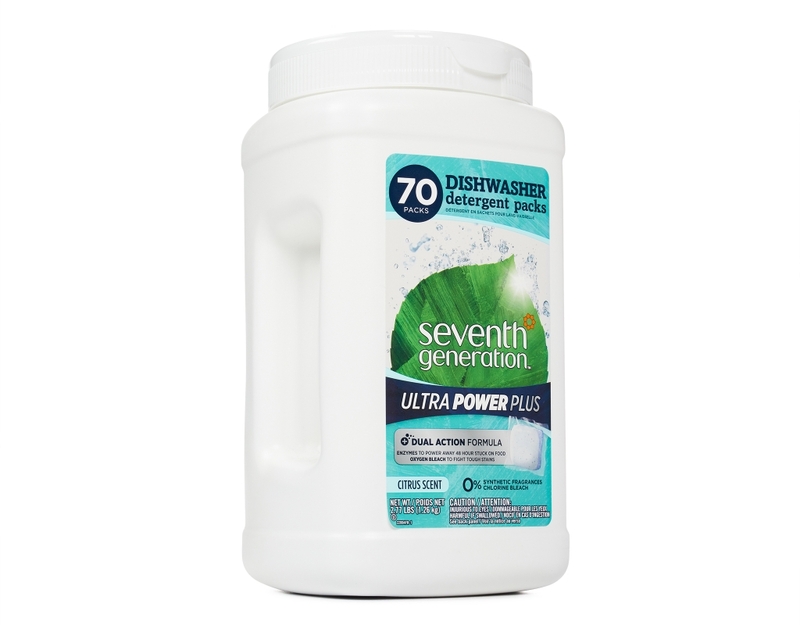 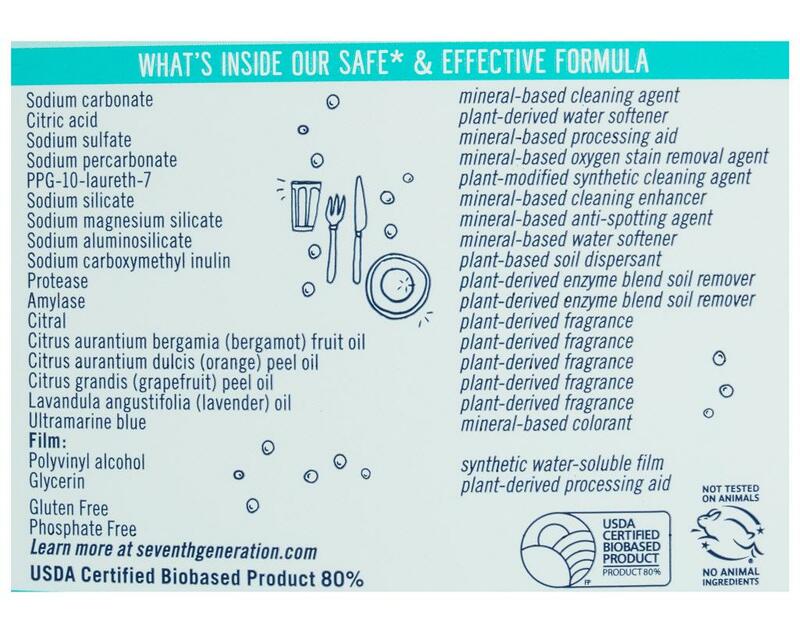 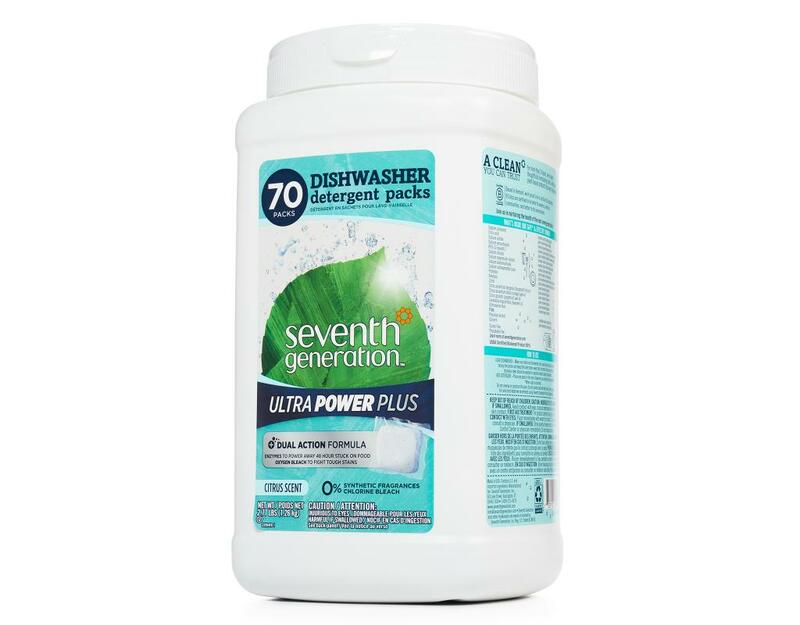 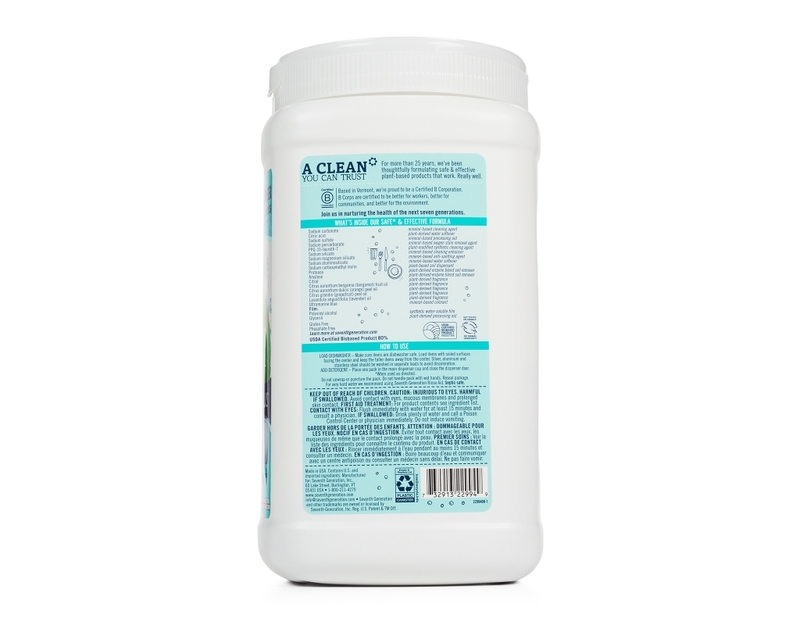 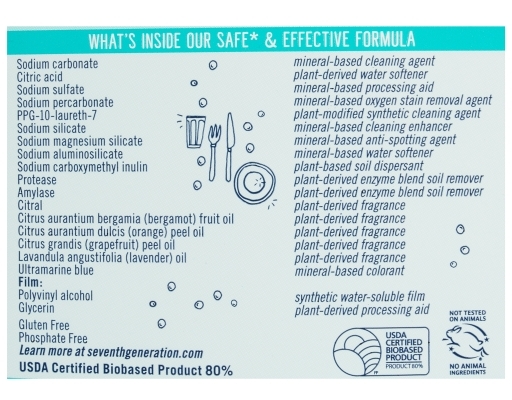 Seventh Generation's Our dual action formula cleans without chlorine bleach, phosphates, or synthetic fragrances.